A huge chunk of meat that’s been grilled and drizzled with sauce and some garnishings are called Steak. 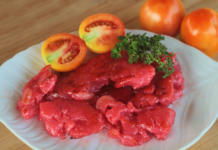 Various meats can be used as steaks like Beef (Bistek Recipe), Chicken, Lamb, and Pork as well as Fish. Some Steaks have vegetable sides while others Pasta and people from different parts of the world either use red, white or dark sauce; some even use Curry Sauce or Cheese Sauce and they offer it in menus in high-end restaurants. 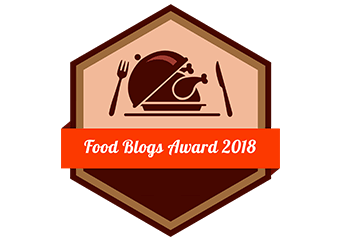 It is also common in other countries to have different cooking time for their steaks since some like it still oozing with its own red juice while others shriek at the sight of it so they prefer well-done instead. 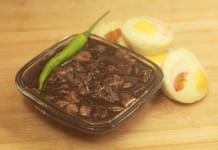 In this post, I will teach you how to cook the Filipino Pork Steak Recipe. In the Philippines, one of the most common ways to cook a Steak is to put soy sauce and Philippine Lime (Kalamansi). 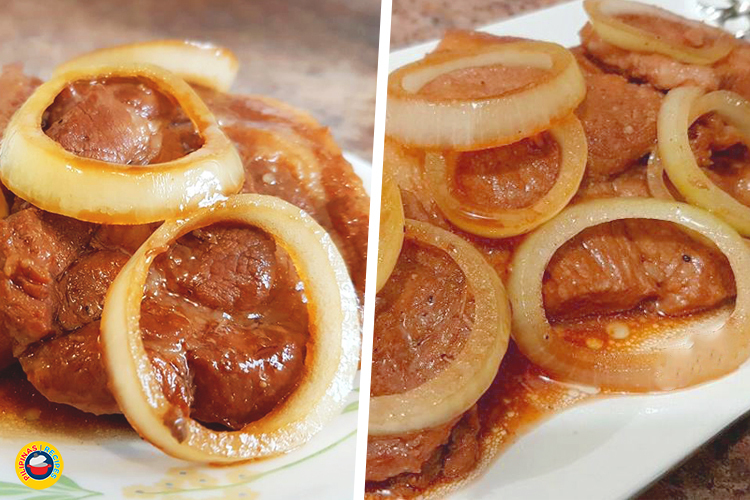 It is also common to make Pork Steak Recipe by topping it with onions sauteed separately from the meat. Most people also use the Pork Chop cut of meat. Instead of grilling which is how most steaks are cooked in other countries, this recipe includes the sauce while cooking so the meat is allowed to become tender in the sauce. Its meat is also not as chunky as that of other steaks. In the Philippines, one of the most common ways to cook a Steak is to put soy sauce and Philippine Lime (Kalamansi). 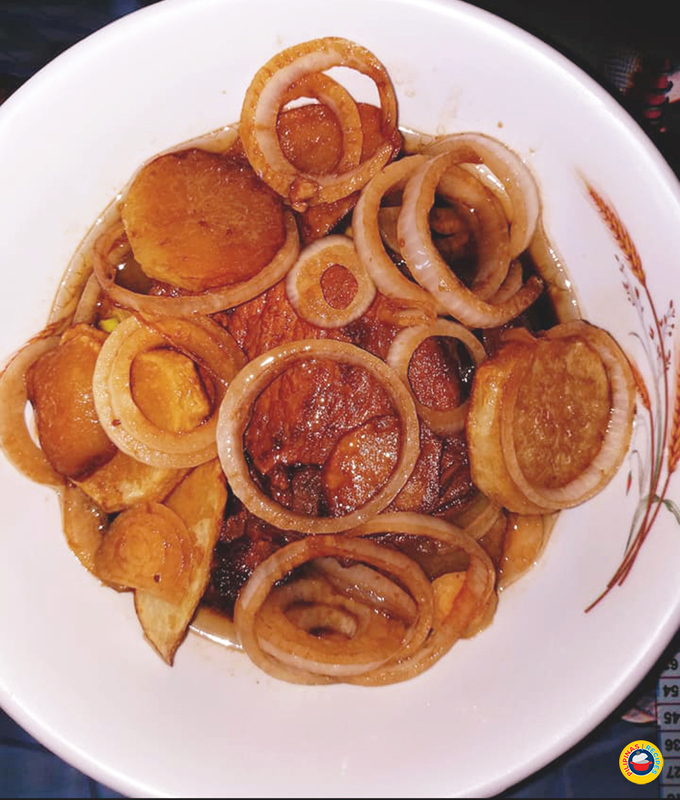 It is also common to make Pork Steak Recipe by topping it with onions sauteed separately from the meat. Marinade the Pork Chops with Soy Sauce and Lemon Juice for an hour. Heat a pan then pour in cooking oil. Pan fry the marinated pork chops over medium heat for 3 to 5 minutes per side. Remove excess oil. Pour in the remaining marinade and water then let it boil. 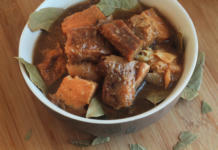 Simmer for 45 minutes or until pork is tender. Add water if needed more Sauce on Pork Steak. Add the sugar, salt, and pepper then stir. Put in the onions and cook for 3 minutes more. This video shows another recipe for pork steak. 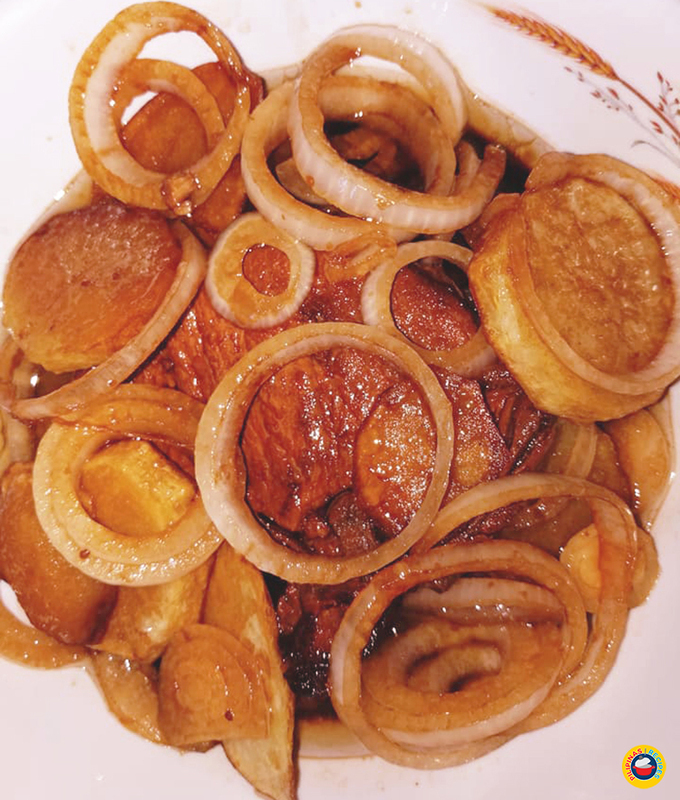 The Pork Steak Recipe is common in most households in the country since it’s easy to cook and grown-ups prepare this for their kids who love it. It is also often times served with vegetables like roasted squash and eggplants or mashed potatoes and fish so it’s considered an everyday kind of dish instead of a party dish but when you put cream and other ingredients like cheese and herbs then it becomes a dish meant for hosting parties. 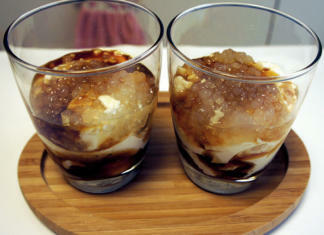 As always, this is a dish that should be eaten with steamed rice and meant for second servings.